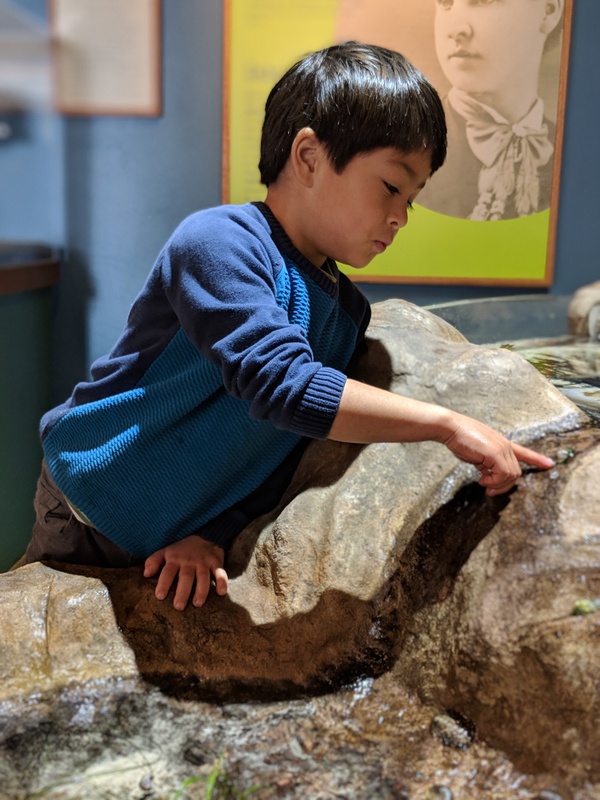 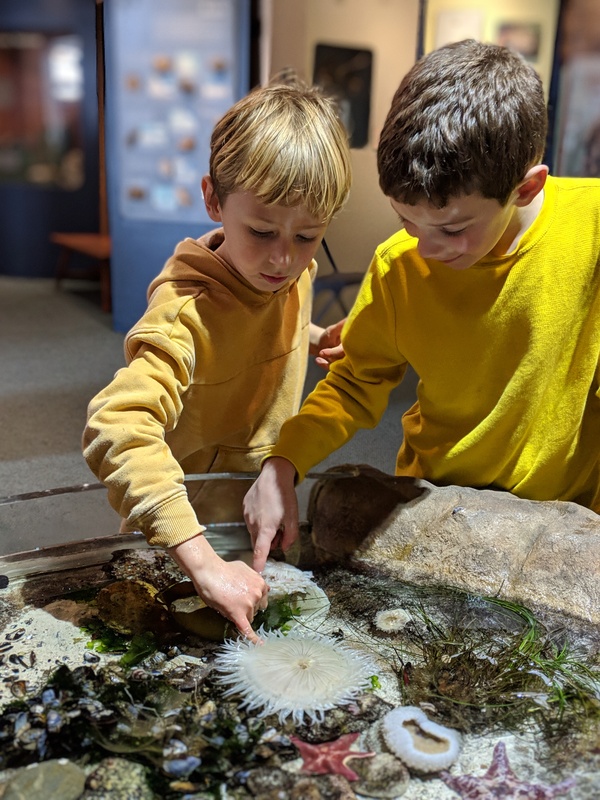 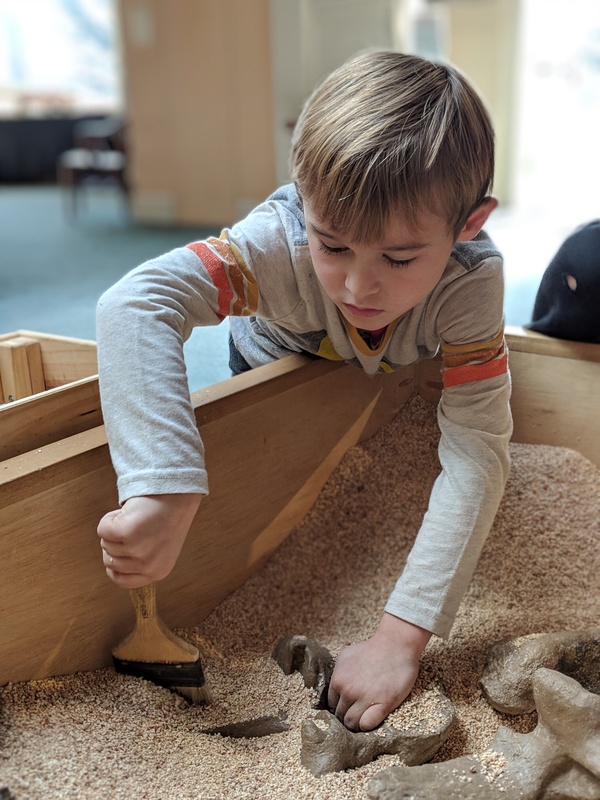 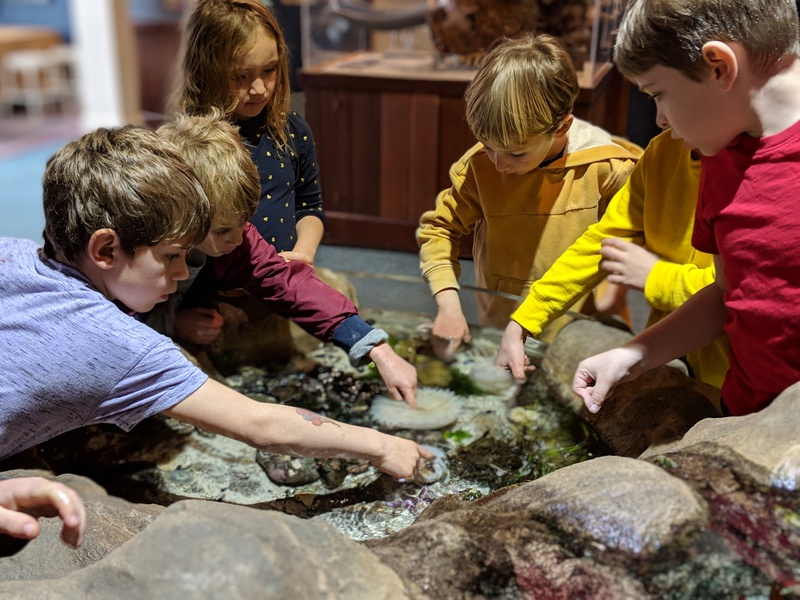 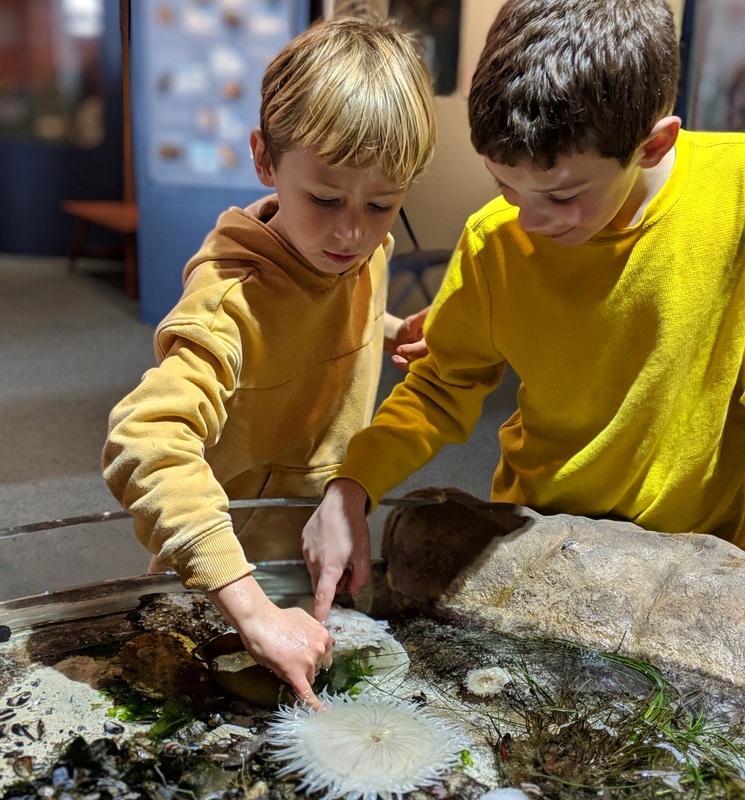 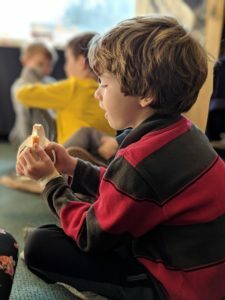 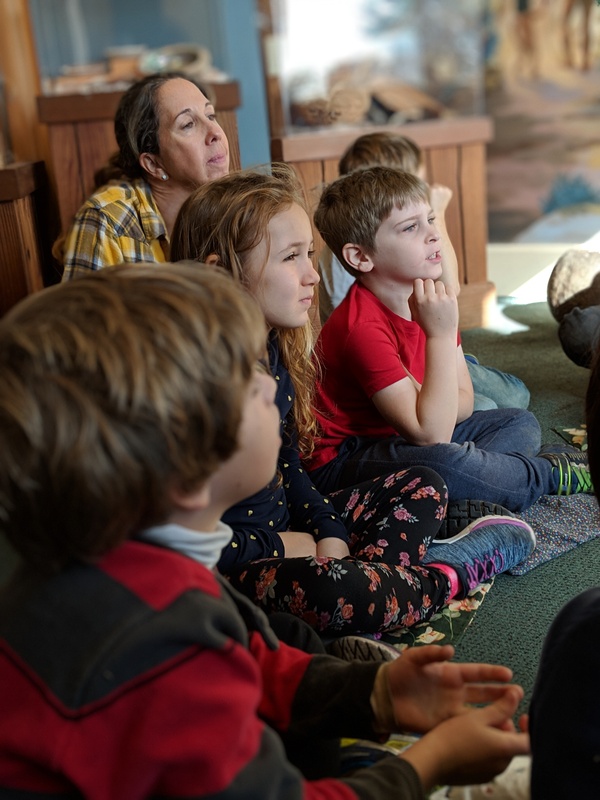 Mount Madonna School first grade students recently visited a wonderful local resource – the Santa Cruz Museum of Natural History. 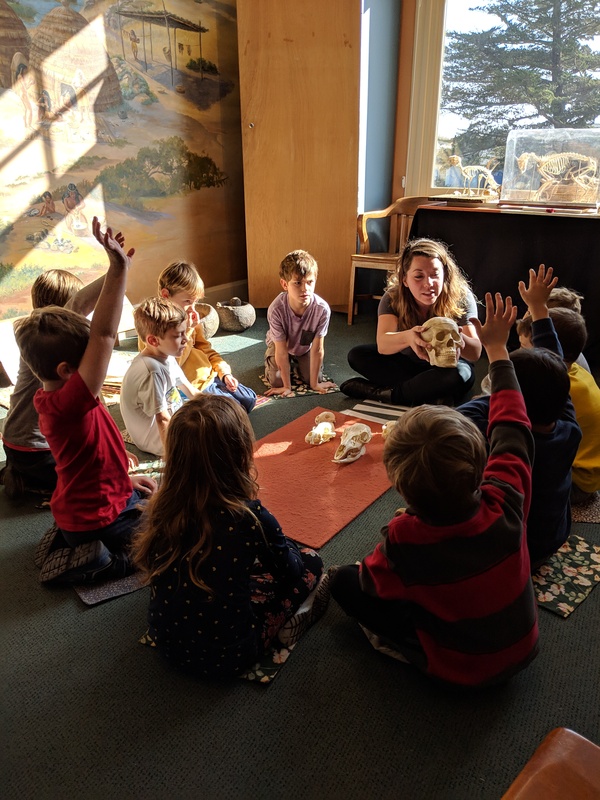 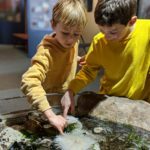 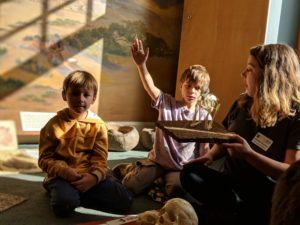 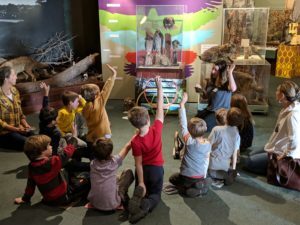 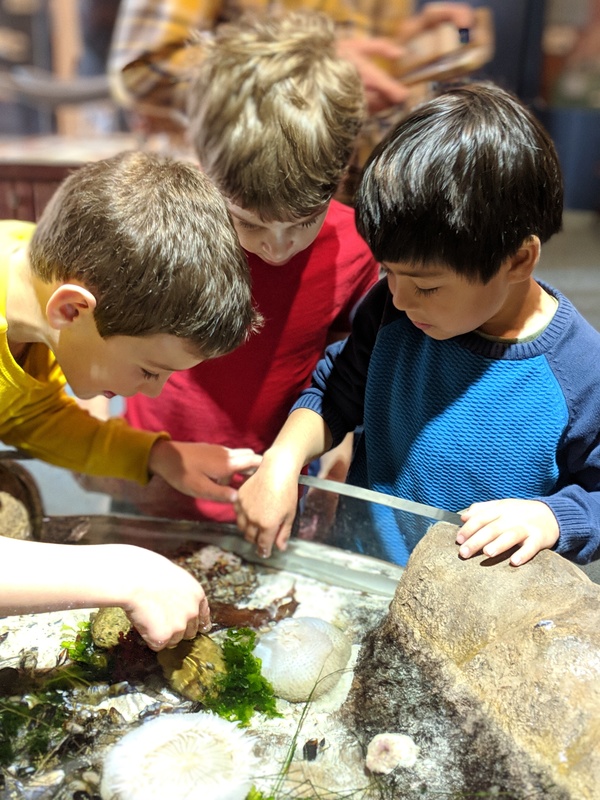 During their visit students were able to carefully touch live marine life, hear from knowledgeable museum staff about local natural history and animal adaptations, and examine bird and mammal skeletons. Students were eager, interested and engaged in the museum’s interactive learning exhibits. 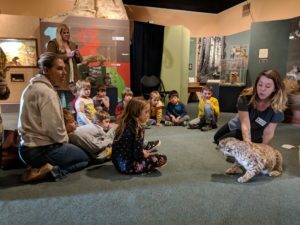 One activity included having the students walk around the museum and find various animals and see if they could figure out each animal’s adaptations. 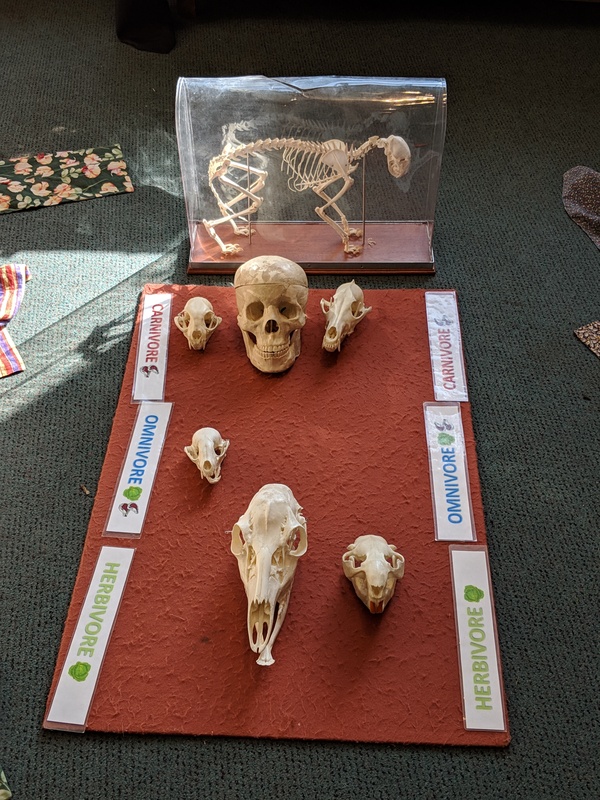 Afterwards, they came together and shared their findings. 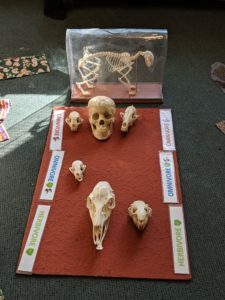 Habitats were also studied, with students learning how adaptations serve various animals in their environment. 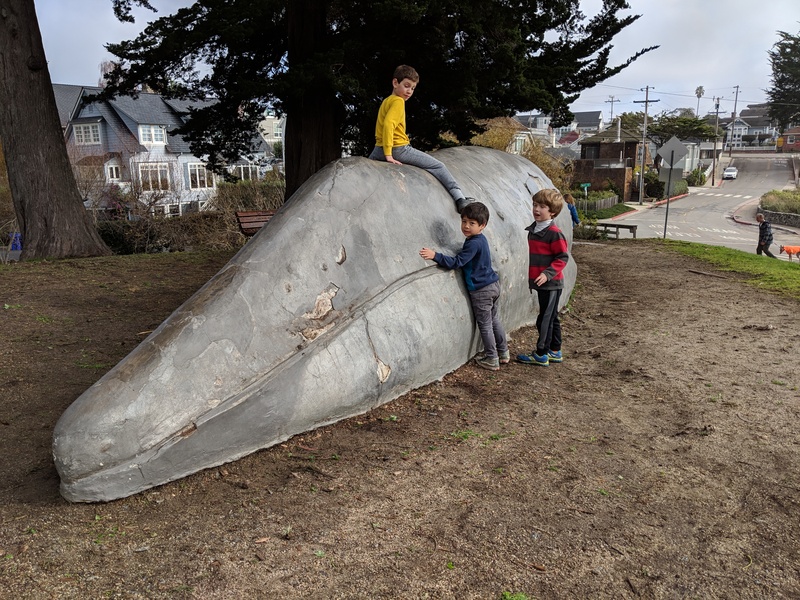 Outside, students participated in a predator-prey game. 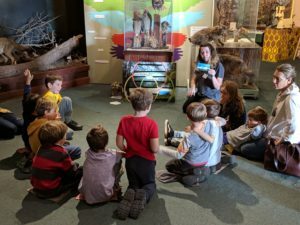 They sat in a circle and had to sneak up on the docent in the center, using speed or silent approach and try to acquire a jar representing eggs which sat in front of the docent. 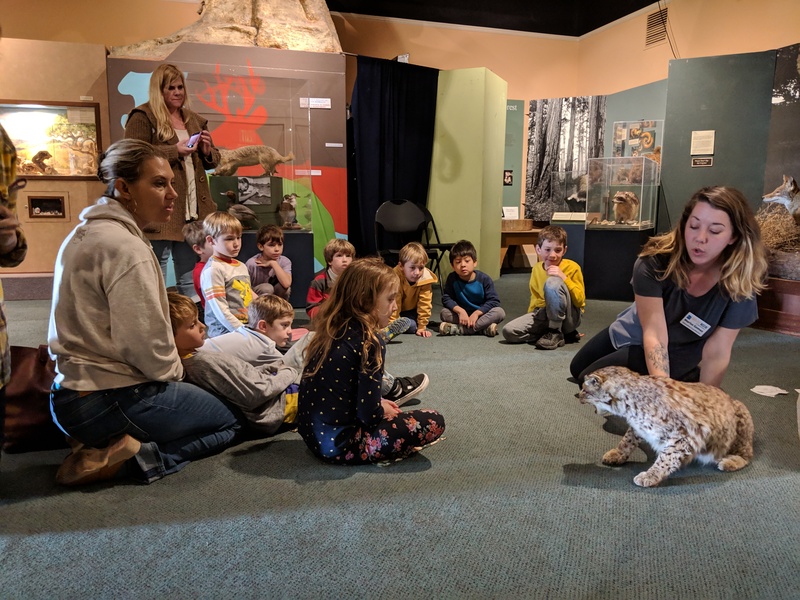 The docent was blindfolded and relied on her sense of hearing to determine which direction the “predators” were approaching from. 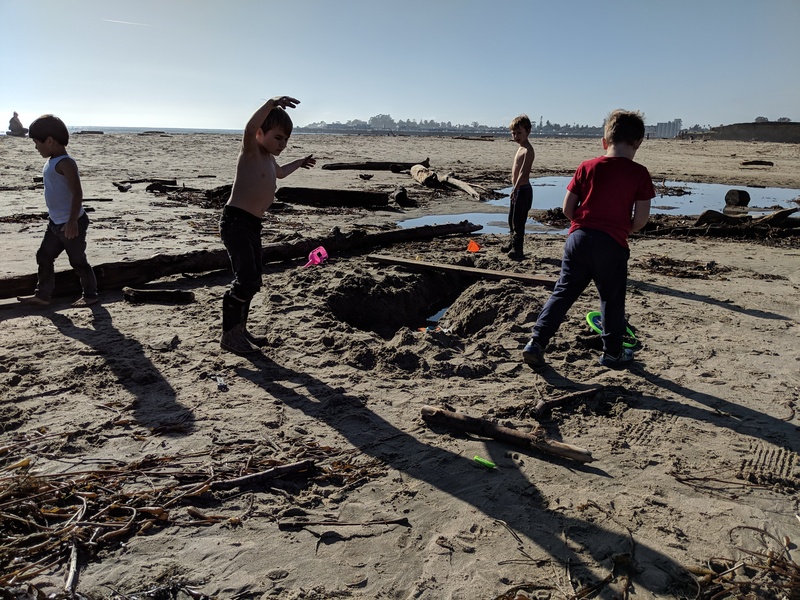 If she “sensed” them, she sprayed water from a bottle in their direction, and they had to return to their spot in the circle. If they were stealthy, they could acquire the jar and be victorious. 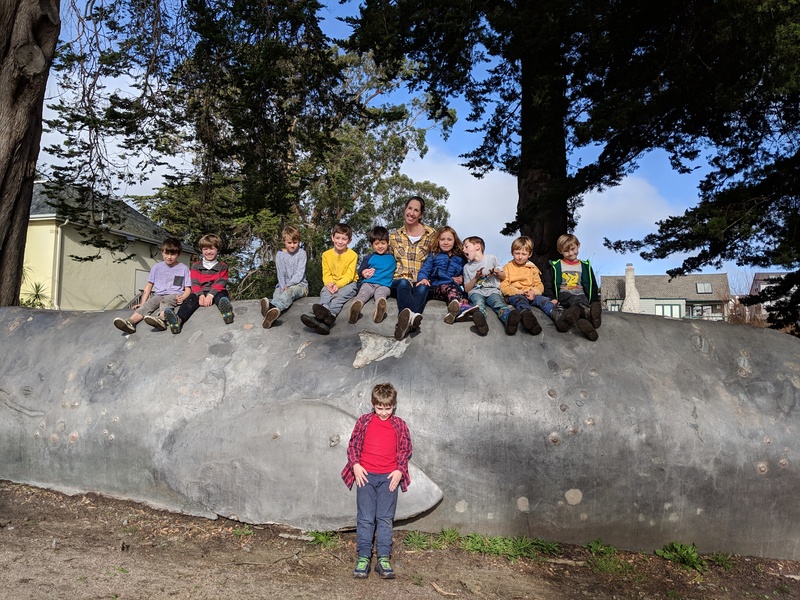 After their visit, the class visited the nearby beach for lunch and some sandy recreation! 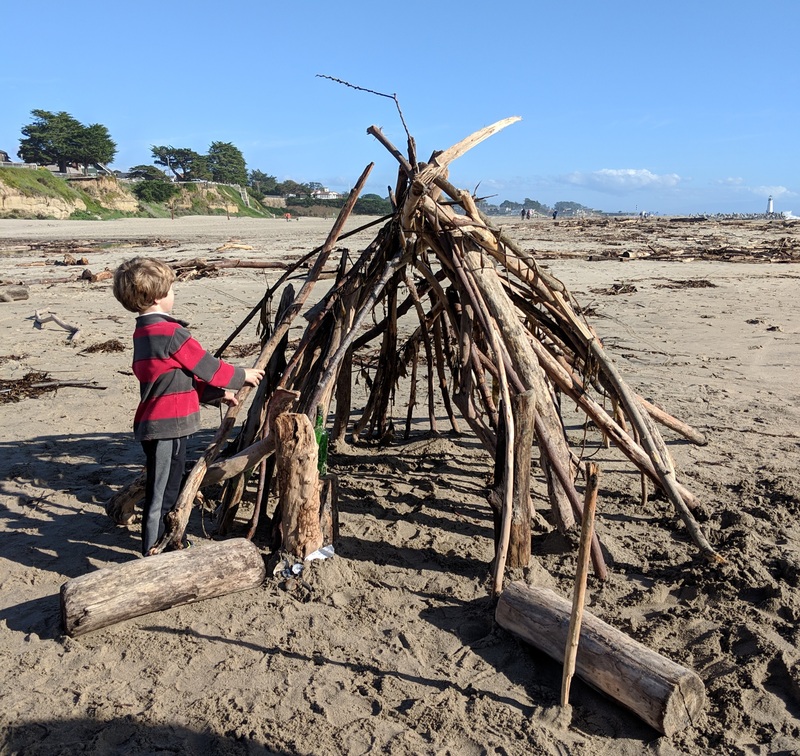 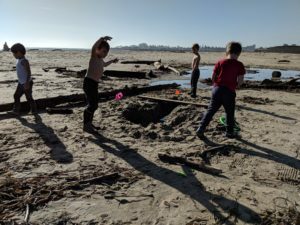 “We built driftwood forts and had a grand time,” said Laffin. Meanwhile, in class as part of this study unit, each first grader created an animal report, and then shared their reports and evaluated each other’s presentations, asking questions for clarification and offering compliments.